Established in 2003. 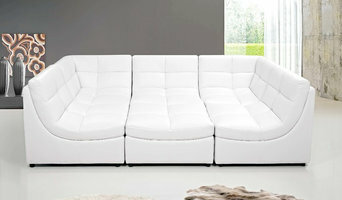 We carry furniture that are simple, modern, traditional, contemporary, transitional and diverse. We have new arrivals monthly. You will find good deals here and items that cannot be found anywhere else in California with low prices. We carry living room sets (Sofas, Sectionals, Futons, Lounge Chaise), Dining Sets for bigger homes and apartment, studios, all types of mattress, accent chairs, coffee tables, office furniture and chandeliers. All items are usually in stock. 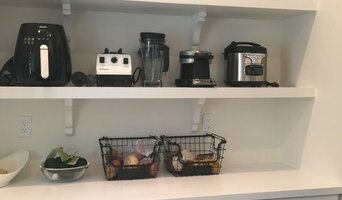 SNC Construction & Home Improvements INC.
SNC Construction & Home Improvements Inc. brings nearly 20 years of experience in the construction industry. We pride ourselves on being hands-on and act as your partner throughout the entire remodeling process. Our mission is to deliver exceptional craftsmanship and customer service so our clients will keep coming back. Southern California's FIRST and ONLY Lifetime Master Accredited Staging Professional Team. Based out of Long Beach, CA and established in 2005, Identity Home Staging has Staged over 755,000 square feet in Southern CA and Las Vegas which translates into hundreds of millions of dollars of real estate, not to mention the millions of dollars we have earned our Clients through over asking sales and bidding wars! Identity Home Staging has been regularly featured on HGTV’s “Flip Or Flop” with Tarek and Christina El Moussa, HGTV’s “House To Home” with Jasmine Roth and BravoTVs “Flipping Out” with Jeff Lewis. We have been featured in countless publications from magazine articles to newsprint, been part of many radio and podcasts like “Home Staging Talk Live,” “Keeping It Real Estate with Eric Bryant,” and “Design Talk Live” with Joseph Haecker and “The Chaise Lounge” with Nick May. We come educated and qualified, confident with our Staging plans, compassionate with our Clients and have tons of happy testimonials to share with you. Here at Cabinet Direct, we are passionate about our high quality and affordable kitchen and bathroom products that are presented in the best design solutions. Through our dedicated designers and service- oriented team, customers get what they need, when they need it. We strive to provide an outstanding purchase experience for clients who have enough worries on their own. We wholesale and deliver products anywhere in the continental US. Our products mainly target commercial and residential kitchens & bathrooms. 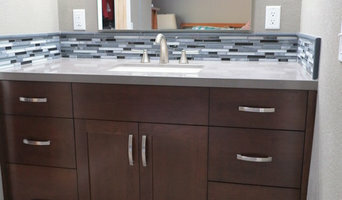 We provide cabinetry, sinks, faucets, granite tops. We have kitchen designers ready to calculate the placement of your kitchen cabinets FOR FREE. We will work with you in creating the best fitting design for your kitchen or bathroom space. We will be happy to assist anyone through the ordering process and are ready to answer any questions you may have. On behalf of Cabinet Direct and the team, thank you for choosing us. We look forward to serving you and wish you success in your ventures. We would also like to welcome you all to our showroom, located in Rancho Cucamonga, CA. to schedule a visit, please contact us. With over 25 years combined experience in landscape design & Design build projects our goal is creating residential & commercial landscapes that simply, "work for you". "Professionally by us, Personally for you". 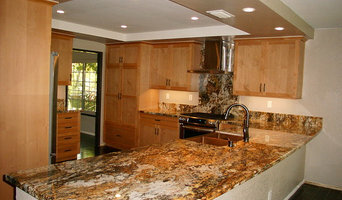 We are the largest granite and cabinet business in the Inland Empire. We import over 50 exotic granite colors from all over the world such as Brazil, India, and Africa. Our cabinets are high quality all wood, NO particle board, German, Canadian, and American wood with selections of oak, maple, beech, and cherry. We take pride in saying that Granite & Cabinet Depot offers the best pricing in the Inland Empire. Granite prices start as low as $26.95 per square foot! We will beat any written quote by 5% or more. Service is our number one priority and satisfaction is guaranteed. Visit our 18,000 square foot warehouse to see our showroom that is developed to enhance your shopping experience to the fullest potential! We are excited to serve you in the near future and make your kitchen remodel dreams come true! Granite and Cabinet Depot is dedicated in making your kitchen remodel an easy and smooth process. We would like to invite you to visit our showroom so we can give you a free instant quote. Our designer specialists will create a virtual display of your future kitchen and input their suggestions along with following your dream kitchen desires. They will answer all of your questions concerning your kitchen. Come in today and get a free estimate on new cabinets and granite countertops! Located in Ontario, California, we're open 7 days a week! Home Staging & Redesign services for southern California in the Inland Empire, Orange county, Palm Springs and surrounding areas. Additional services include color consultation, moving in set up, home organization and personal shopping. WE SPECIALIZE IN: Bathroom Remodeling, Kitchen Remodeling and Interior Renovation. If you are considering remodeling your entire house, kitchen or a bath, you can count on us. Our company was founded on the principles of honesty, commitment and quality craftsmanship. We have upheld these founding principles, and embodied them in every project and every work activity undertaken by the company. We are Professional, Dependable, Reliable and Honest. We have excellent references. We can help make your home improvement dreams come true. But before you start sending out dozens of emails and making phone calls, sit down and think about your project. What's your budget? What is the scope of your project? Will you need more than one type of professional to complete your home improvement project in Ontario, CA? Can you afford to complete the full project now, or should you tackle it bit by bit? Once you've settled on your project’s priorities, budget and scope, it's time to start researching Ontario, CA home design professionals. Don't sell yourself short and settle on the first professional you set your sights on. Make sure that you're working with someone local, who can get to the jobsite easily and efficiently. Look into the person’s reviews, ask to speak with former clients and to see previous jobs in person. Take a good look at their portfolio photos: How similar are these projects to your own? Be honest — that mansion might look beautiful, but it might not have a lot in common with your little bungalow. Reach out to multiple professionals — especially for larger projects — and don't settle for the first bid you hear. Comparing multiple Ontario, CA professionals' bids and experiences can help you find the one that’s best for you. Ask a lot of questions now, so you won't have unexpected answers later. Find a home design professional on Houzz. Narrow down your search by type of professional and location. Browse Ontario, CA portfolio photos, read client reviews and contact each Ontario, CA professional for more information. Check out the information in the specialized professional sections too for tips on how to hire the right professional for your project.